This is Fleetwood’s fourth ʻAipono Award since opening in August 2012. 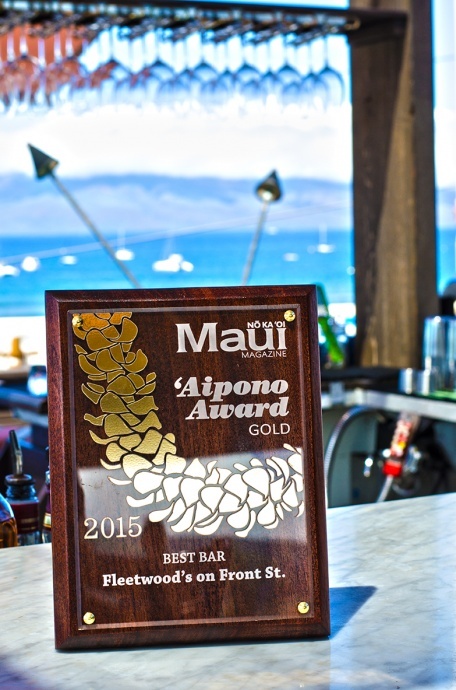 Previous ‘Aipono Awards included “Best Cocktails” in 2104, “Best Pau Hana” in 2014, and “Best New Restaurant” in 2013. Ceremonies were held on April 26 at the ‘Aipono Awards Gala at the Sheraton Maui Resort and Spa. The awards are determined by No Ka ‘Oi Magazine readers –the residents and visitors of Maui. Now in its 13th year, the ‘Aipono Restaurant Awards are the first high-profile dining awards devoted entirely to Maui. 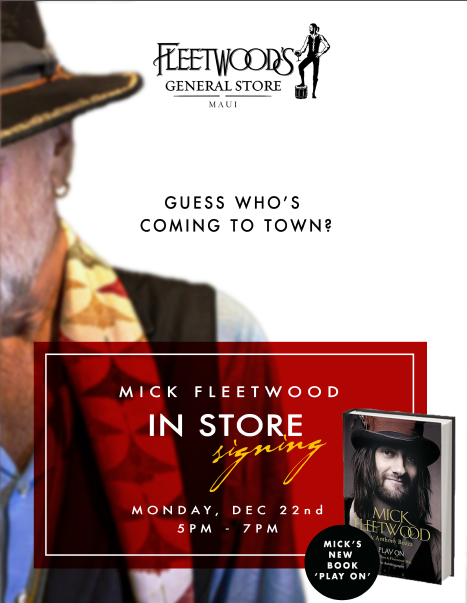 The restaurant’s logo is unmistakably inspired by the cover of Fleetwood Mac’s “Rumours” album, and Fleetwood shared that the restaurant’s design is an extension of his lifestyle. “I have a farm in Kula Upcountry on the Haleakalā Crater,” said Fleetwood. “Fleetwood’s On Front Street has a lot from my life and personal tastes that were brought in from the farm. Being authentic was really important to me, as was being of the island. 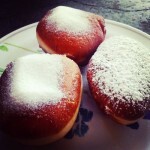 I am, regardless of fame, a visitor on an island infused with its own culture. I wanted to reflect that in the decor and the design elements. Fleetwood said he is proud of the great food and service at Fleetwood’s. Fleetwood said the team found out just how hard it is to be in a tourist location where essentially marketing is reborn every week as new guests fly in. Fleetwood said his team knows every detail regarding the restaurant, and goes the extra mile to get whatever guests want. 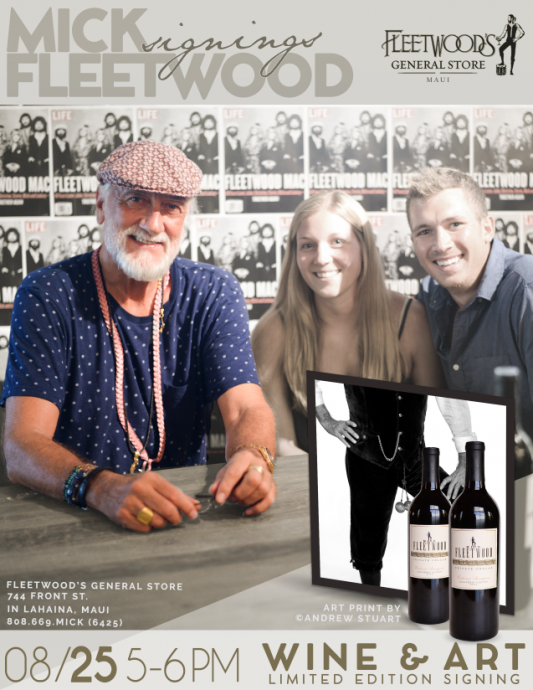 General Manager Eric Waddell has since brought his passion to Fleetwood’s. He is dedicated to providing the outstanding service and impeccable flavors that will make this restaurant the first and the best of its kind here on Maui. Join Fleetwood’s on May 2nd for its monthly Full Moon Party. 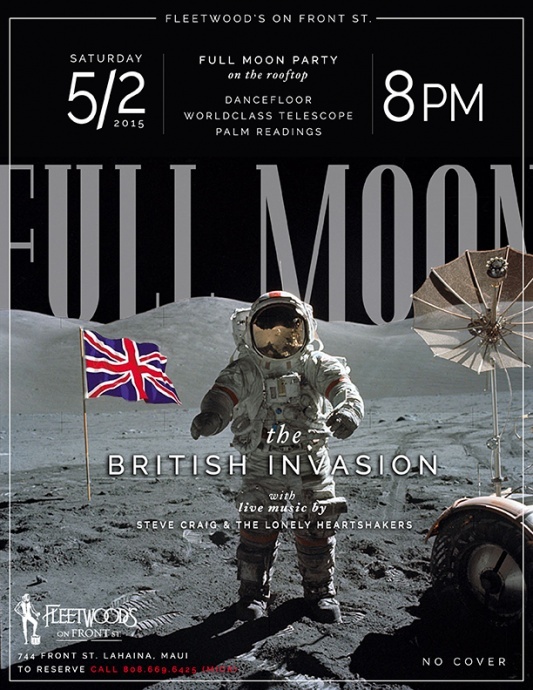 This month, the British-inspired Lonely Heart Shakers featuring Steve Craig will perform from 8 to 9:30 p.m. Dance under the stars on Fleetwood’s majestic rooftop. View the moon through a world-class telescope and have your palm read, too. There is no cover charge for the party. Celebrate a day early at Fleetwood’s on Front St. on Monday, May 4. Enjoy live, rooftop music from 8 to 9:30 p.m. with Soundlab, featuring Harry Troupe. 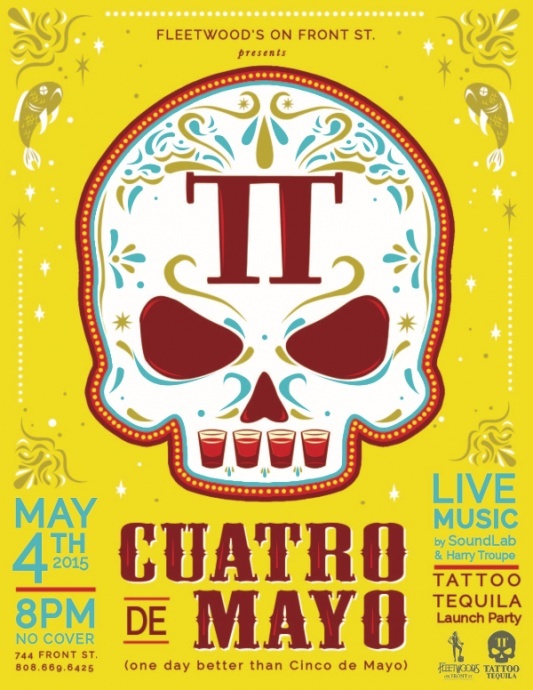 The award-winning bar will introduce the award-winning Tattoo Tequila brand for the first time on Maui. Tattoo Tequila is a Silver Medal Winner at the 2015 WSWA Spirits Competition. Host Fax (for takeout): (808) 661-4111. Lunch served from 11 a.m. to 2 p.m. 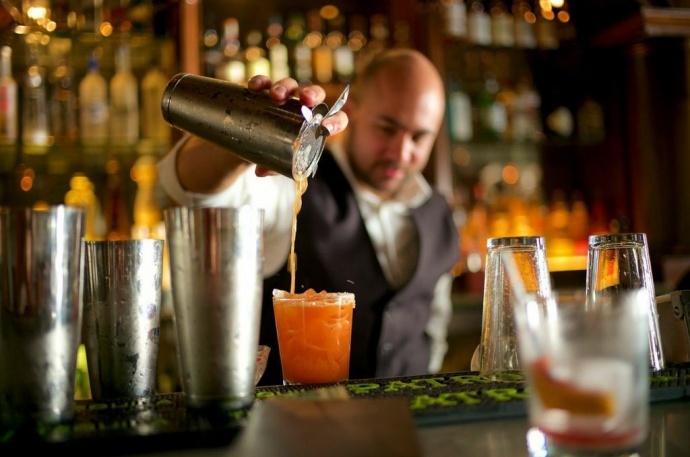 Happy Hour/Bar Menu served from 2 to 5 p.m.